Our team specializes in helping seniors make smart financial decisions regarding their Medicare coverage options. We represent several carriers offering Medicare Supplements, Medicare Advantage Plans, Medicare Prescription Drug Plans and other senior healthcare policy offerings. To qualify for Medicare, you must be 65 years or older, or you must meet certain disability or special needs circumstances. Medicare is a government-sponsored healthcare program that does provide generous benefits, but there are also some notable gaps in coverage. This is why many people seek us out for additional coverage. To better understand what kind of added coverage you might need, it is important to first understand the benefits and limitations of Medicare. Medicare coverage has four parts. Part A primarily covers hospital, skilled nursing facility care, home health services and hospice care as long as certain conditions are met. If you are 65 or older, you can get Part A coverage at no cost if you are eligible or get Social Security benefits, you receive railroad retirement benefits, your spouse is eligible for Social Security or railroad retirement benefits, or if either one of you held a job that paid Medicare taxes. If you are under 65 years old, you can qualify for no cost Part A coverage if you have received Social Security disability benefits for at least 24 months, you are getting railroad retirement disability benefits, you suffer from ALS and currently get Social Security benefits, you paid Medicare taxes and you are entitled or are receiving Social Security disability benefits for at least 24 months, or if you have serious kidney issues including end-stage renal disease, kidney dialysis, or have had a kidney transplant. If you don’t qualify for nocost Part A coverage, you can still pay for Medicare coverage as long as you are 65 or older, meet citizenship and residency requirements and you are either enrolled or are in the process of enrolling in Medicare Part B. There is an initial enrollment period of seven months surrounding your 65th birthday. If you don’t sign up during this initial period, you could face enrollment penalties or face a gap in your Medicare coverage. You only need to sign up once, and after that your Medicare coverage is permanent. part B covers outpatient medical care, and includes a bundle of services and supplies necessary to treat a variety of conditions. This includes things such as lab tests, doctor visits, flu shots, mammograms, X-rays, ER and clinic charges, screenings for cancer, diabetes, heart disease and other conditions, some prescription drugs, treatment for Alzheimer’s, mental health services, durable medical equipment, and many other related medical goods and services. If you qualify for free Medicare Part A then you also qualify to take advantage of Part B as long as you enroll and pay a monthly premium. If you don’t qualify for free Part A coverage, you can still get Part B coverage if you’re 65 or older and a permanent resident or citizen of the U.S. for at least five years prior to applying for coverage. The monthly premium for Part B is $104.90 for 2016 and if you don’t enroll during the initial sign-up period you will have to pay an enrollment penalty that will stay in place as long as you have Part B coverage. There is also an annual Part B deductible of $166 for 2016. High earning taxpayers may be subject to higher costs. After paying your deductible, Part B will cover 80% or your costs and you will be responsible for paying the remaining 20%. Like Part A, there is a seven-month window to enroll in Part B and the same enrollment qualifications apply as well. If you miss the initial enrollment period, there’s a Part B general enrollment period each year between January 1 and March 31, with coverage beginning on July 1. Part C of Medicare is also known as Medicare Advantage and is an optional plan administered by private companies that lets enrollees enjoy Part A and Part B coverage along with added benefits. This might include vision, dental, hearing and enhanced drug prescription plans. By law, Medicare Part C must provide coverage that is at least equal to original Part A and B plans. To enroll in a Part C plan, you must first be enrolled in a Part A and B plan. Costs will vary by providers which may include HMOs, PPOs, PFFSs and Special Needs plans. Greater flexibility means that some beneficiaries will pay more each month for a smaller deductible or have cheaper copayments for other services. In all cases, Medicare Advantage Plans have maximum out-of-pocket expenses versus original Medicare plans which do not. The annual enrollment period for Part C takes place from October 15 to December 7 each year. Here we answer questions on What is the Annual Enrollment Period? Medicare Advantage enrollment also qualifies you for the Silver Sneakers fitness program. Part D of Medicare covers prescription drug plans. Here we explain what Medicare Part D prescription drug plans are, in more detail. If a beneficiary is eligible for Part A and Part B coverage, they can also purchase a Part D plan. Part D plans are offered by private companies that have been approved by Medicare. Costs and benefits will vary widely from insurer to insurer. Enrollees may be limited to buying generic drugs, may have to deal with prior authorizations, or be sure that specific drugs are covered under the policy they want to purchase. Enrollees should also be concerned with what deductibles are involved, levels of copayments, whether catastrophic coverage is included and for how much, and what the coverage gap will be when factoring in Part A and Part B coverage. The Part D enrollment period is October 15 through December 7 annually. Medicare Supplements known as Medigap insurance products are offered by insurance companies to bridge the gap in Part A and Part B coverage. For example, Part B coverage only covers 80% of costs, leaving policy holders having to cover the remaining 20%. A Medigap policy can help bridge that remaining cost up to 100% of the costs involved. Medigap policies can also pay for services that are not paid for under Part A and Part B. To qualify for Medigap coverage, you must already be enrolled in Medicare Part A and Part B coverage. 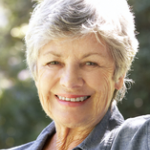 PolicyZip is here to assist you with the wide range of choices available under Medicare insurance. Please contact us if you have questions so that we can assist you in making the best possible decisions regarding the coverage that is right for you. Life insurance policies may well be the most important part of your portfolio, because they provide a financial umbrella that can protect your loved ones at a time when they will need it the most. All smart financial planning includes a life insurance component, and dollar for dollar, it is one of the wisest investments you can make. Life insurance is simply a contract between an insurance company and a policy holder to provide a lump sum payment to a designated beneficiary when the policy holder dies. The policy holder pays premiums to the insurance company in exchange for the financial protection that life insurance provides. There are many types of life insurance policies that can provide peace of mind for a variety of life’s circumstances. The two most common are term life insurance and whole life insurance. You may also want to consider a cheaper alternative, like burial insurance. Read our guide to How Burial Insurance Works here. Term life gives a policy holder coverage for a specified length of time, generally in five-year increments ranging from 10 to 30 years. Under term insurance, the premium that you pay remains fixed for the life of the term. When the term ends, there are no more obligations on either side, and the policy simply expires. In many instances, life insurance companies will offer a policy holder a new policy, but with different premium amounts because the holder is now anywhere from 10 to 30 years older. Here are the best life insurance rates for today. Whole life is permanent and the policy remains in force until a person dies, as long as premium payments are kept current. Premiums are generally higher for whole life policies because the term can be longer and unpredictable. But just like term insurance, the premium costs remain fixed for the life of the policy. Whole life offers a big advantage over term life in that a portion of the premium is put into an account and starts to accrue interest, building tax-deferred savings along the way. Over time, this serves to increase and diversify a person’s investment portfolio. Other types of life insurance policies have been designed to meeting the varied needs of policy holders. Some of them include: decreasing term life insurance; annual renewable term insurance; mortgage life insurance; credit life insurance; and, key person insurance. Can I Get Life Insurance if I Have a Disease? Yes, but it may affect the life insurance you are able to purchase and the cost. As part of the life insurance application process, after a thorough physical examination and a determination of which factors are impacting a person’s health, they are placed into a formal classification most of the time, ranging from Preferred Select to Standard Smoker. Being placed into one of these classifications will determine how much of a premium a person has to pay. Those people who don’t fit into the common classifications are given what is known as a table rating. Table ratings are usually assigned due to health or lifestyle issues, and most always result in a bump up in the amount of premium a person has to pay for coverage. Some insurance companies may negotiate a table rating with a potential policy holder, and others may remove a table rating altogether if a person’s condition improves sufficiently. Those people who cannot obtain a life insurance policy due to health or other issues may look into getting a guaranteed issue life insurance policy. For this type of policy, there are no physical exams, but benefits are highly restricted for the first two years the policy is in place. In addition, policy amounts are relatively low, generally not more than $25,000. Through a nationwide association of life insurance agents, PolicyZip can help you find the exact policy that’s right for you, whether you are in perfect health, or you are facing challenging health conditions. We can take the guesswork and the legwork out of finding exactly what you need for you and your family’s financial protection. Learn more about Life Insurance or start your quote by completing our quote form to the right on this page.